Did you know that a burglary happens once every 40 seconds in the UK? The police recommend fitting a visual burglar alarm as an effective deterrent against any would be burglar. Ensuring your property and it’s belongings are as secure as possible is our top priority. We use trusted manufacturers honeywell and visonic which will guarantee performance and reliability when securing your home. Our systems are user friendly and a full demonstration is given by our technicians. All paperwork and documentation in relation to to your alarm will also be handed over once we’ve completed the install, making you the sole owner of the system. This means there are no additional monthly fees or hidden contractual obligations you don’t know about. Tailoring a package to meet your requirements is recommended, please take a look at what we can include for you in the column to the right. We install security systems that will suit your household and give you the best solutions. We also understand how important your pets are and can cater for this with pet sensors. Auto-diallers can also be fitted to your alarm system meaning that should your alarm be activated our systems will notify you. This way, your alarm is never ignored and gives you that extra peace of mind when you’re not at home. Remember our systems don’t have any ongoing charges or contracts we connect them to your existing landline telephone socket. In addition to installing security systems we also take-over or upgrade existing security systems. 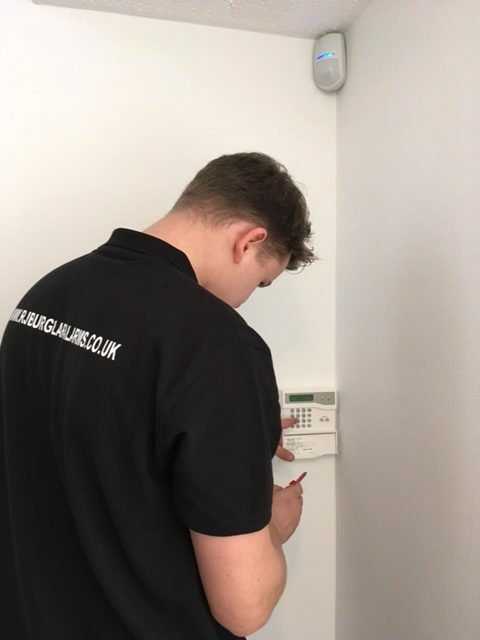 If you have a acquired or brought a property which already has an alarm installed that is not working or would like it upgraded, please get in touch with us for a free quote.